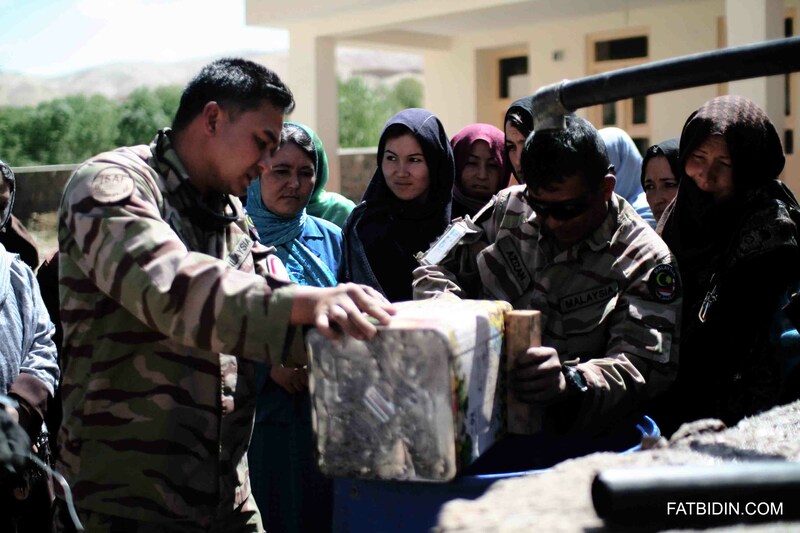 The Malaysian military team who were in Afghanistan (MALCON ISAF 2) were on a humanitarian mission rather than a combat one. They helped to build water filtering systems, consult and advise the Afghan Ministry of Health on combating diseases and organising traveling clinics. Of course, there were a small group of Special Forces who were there as security detail. That picture above is of Major Dr. Mohd Arshil Moideen (now Left. Colonel) demonstrating to the locals in Bamiyan, Afghanistan, how a water filtering system works to eliminate the risk of getting sick from drinking well water. Here is also a video story shot on that exact day it happened. If you would like to own the picture for your wall, today is your lucky day! Get a limited print of the picture all nicely framed (21cm x 30cm) and signed by yours truly for RM90. You can play a role in supporting independent journalism by clicking below.